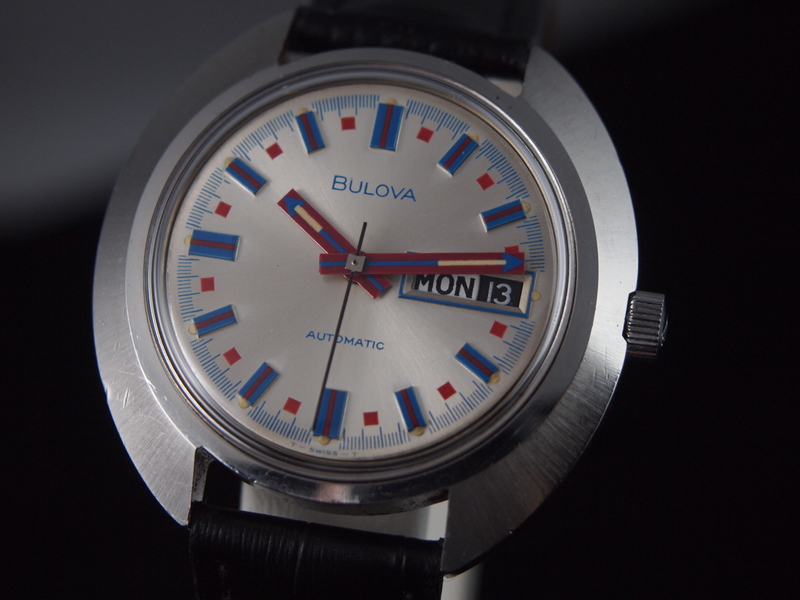 The 70s was a formative decade worldwide and people have mixed feelings about parts of it (think Nixon, Disco, Thatcher, etc.) 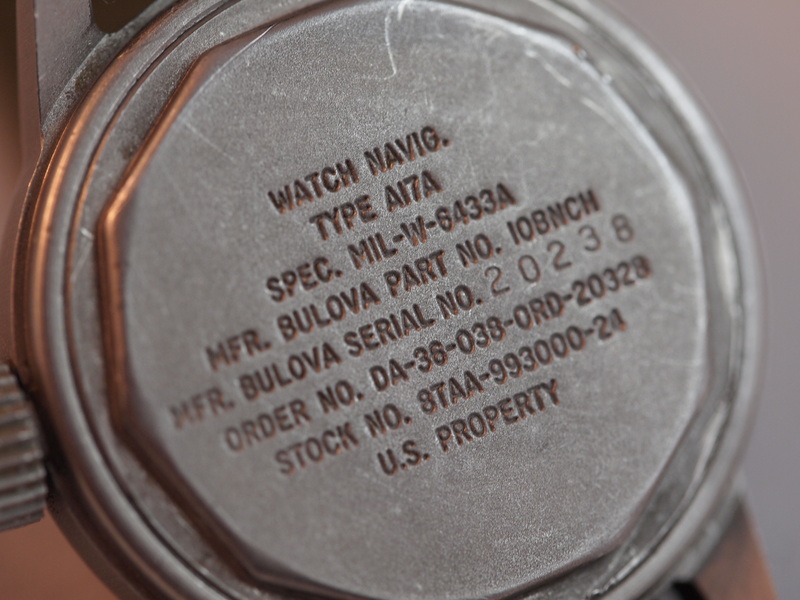 I have no opinion on these matters. 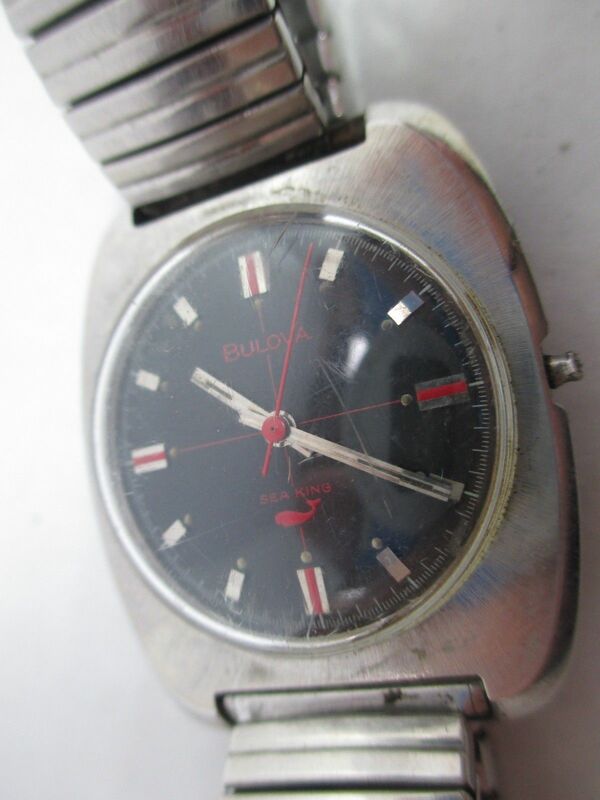 I was not alive to pass judgment on the goings on and so I feel that I do not have the right (If I happen to restore a watch from the 80s though, all bets are off.) 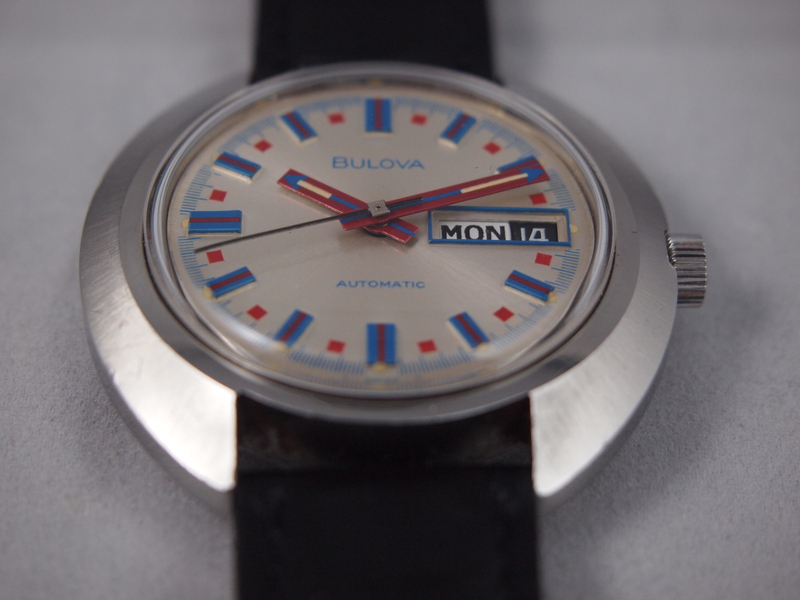 I do have to say that watch designs during this decade were pretty awesome. 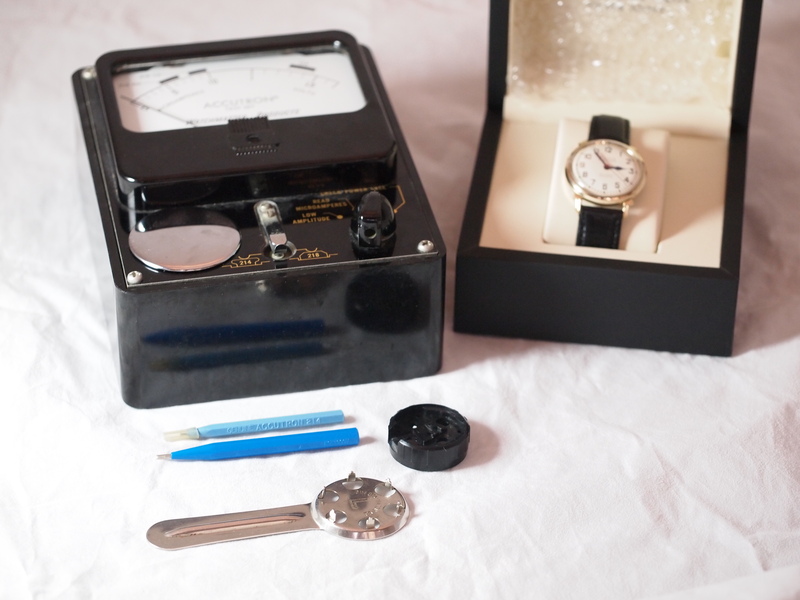 Prior to this time watches tended to be daintier in size and look. 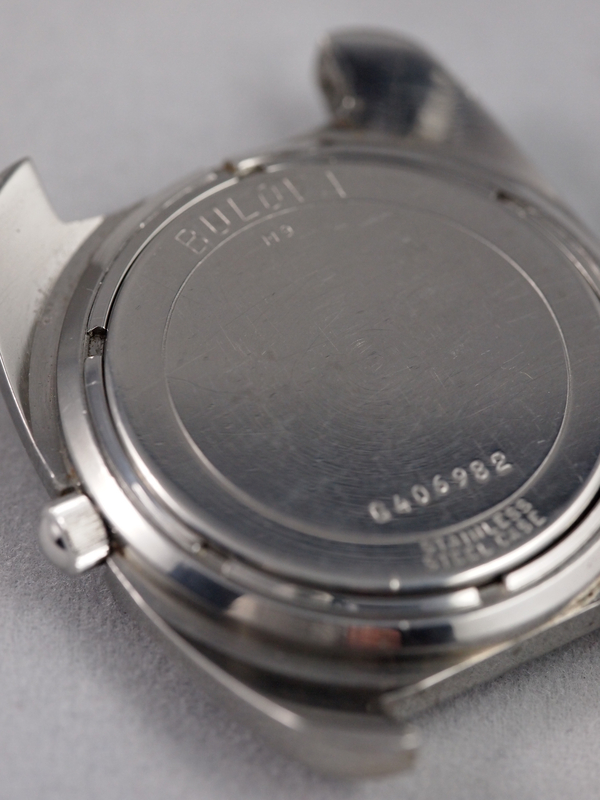 This decade saw the re-examination of components like the watchcase and the hands and turned them into prominent design elements. 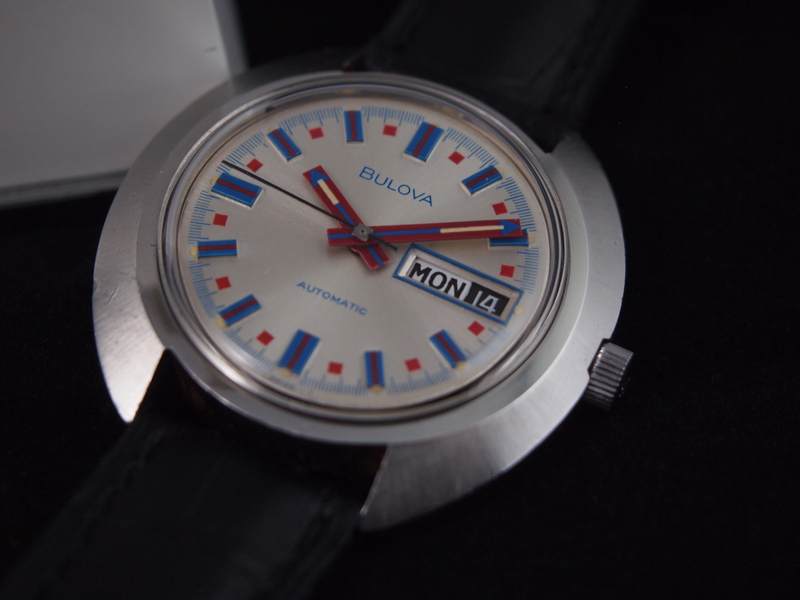 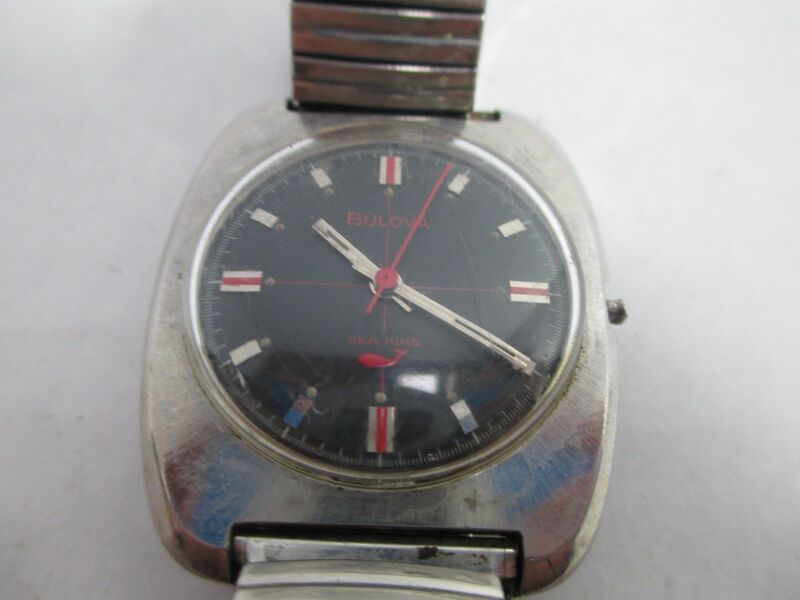 This Bulova Jet Star from 1972 just screams 70s and I love it. 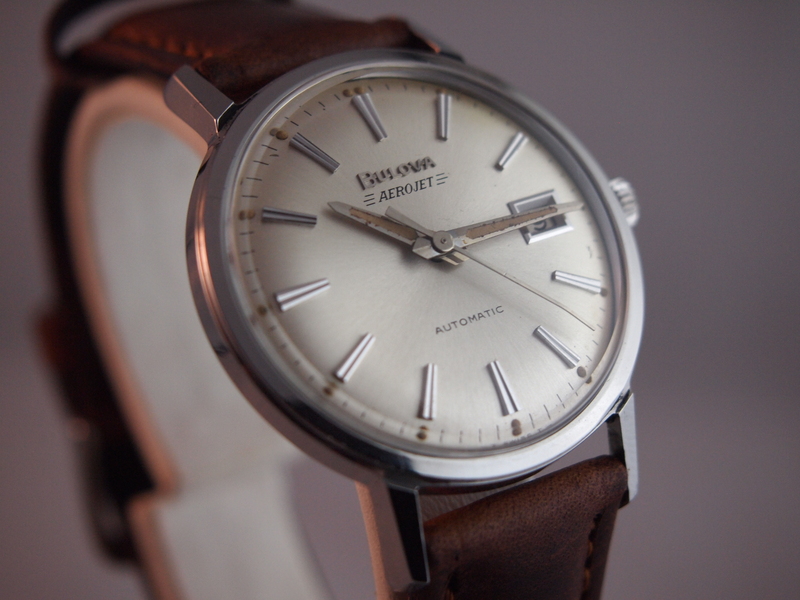 The general aesthetic of this watch is somewhere between “chunky” and space age. 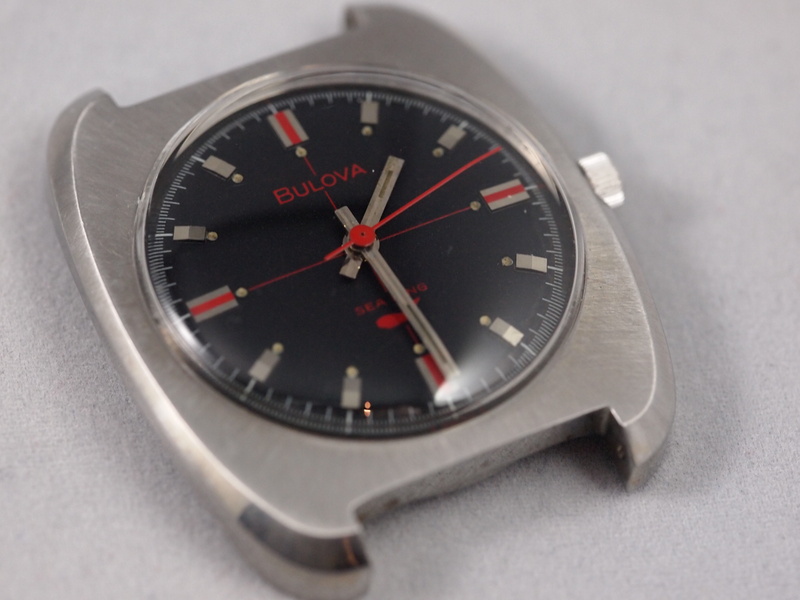 Most certainly a divergence from the common round and tank shaped watches from decades before, this odd shape almost looks like it belongs on Batman’s utility belt. 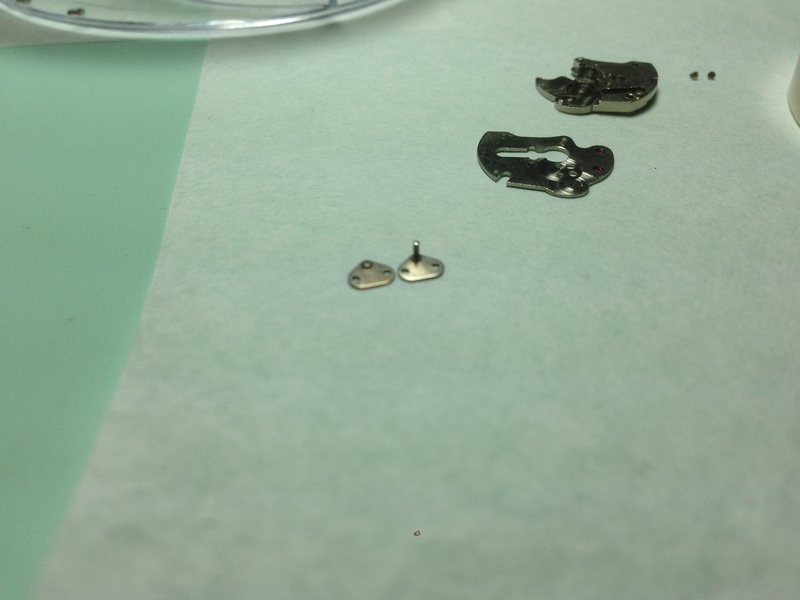 Although it doesn’t look like it, the lug-to-lug measurement and the width (excluding the crown) are identical. 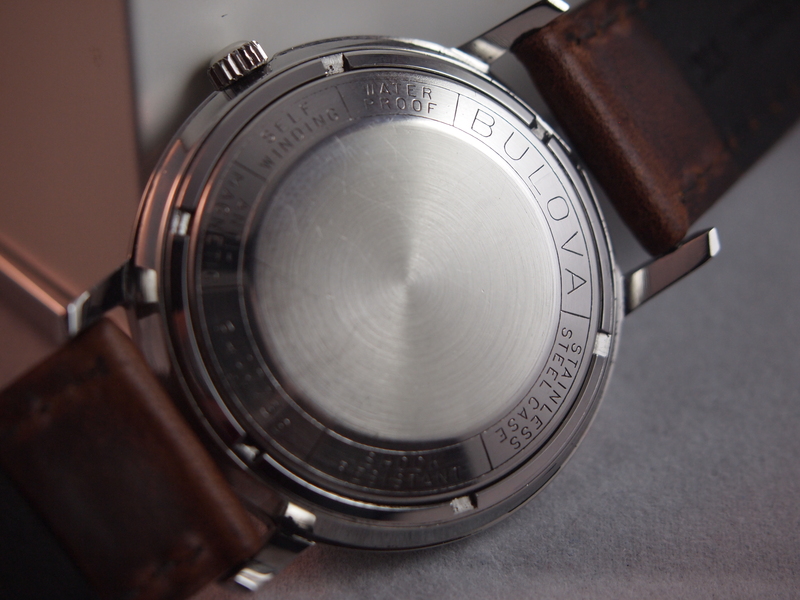 The brushed finish helps to accentuate the unique design of the hands and dial as well as to soften the look of the metal. 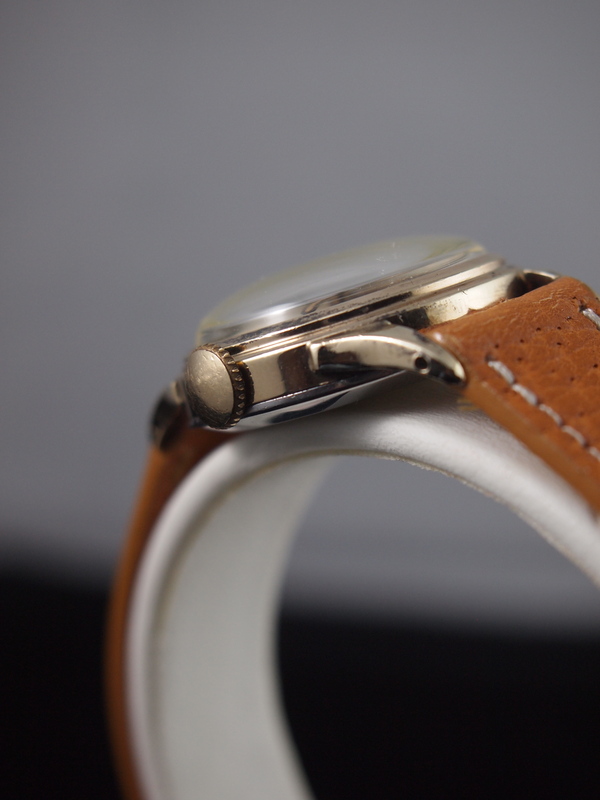 It also helps to provide a sharp line and angle contrast making this watch look rather sleek despite its size. 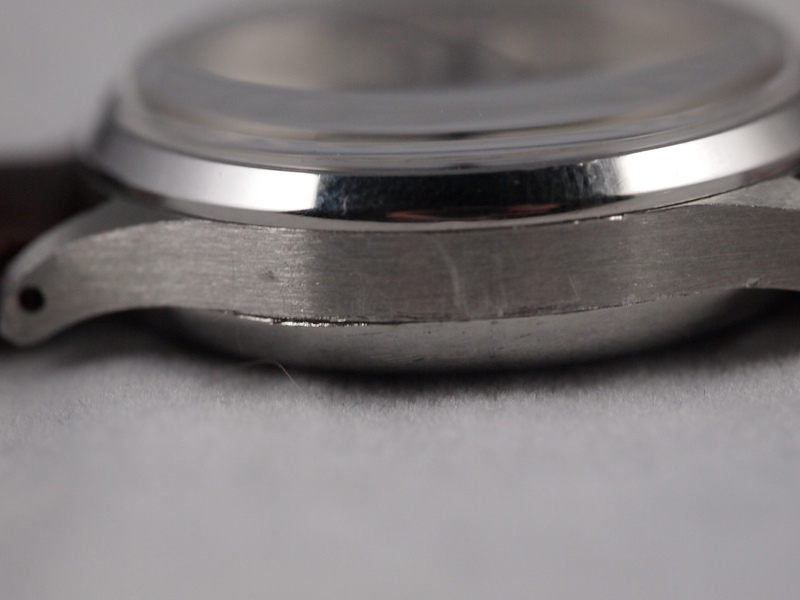 All to often on these watches this delicate finish is polished away and the watch looks like its been stuck in a chunky rounded mirror. 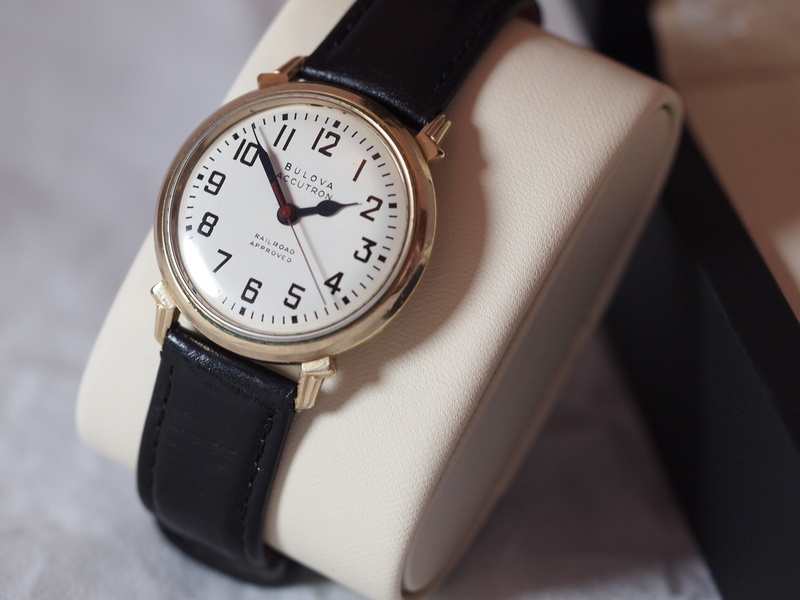 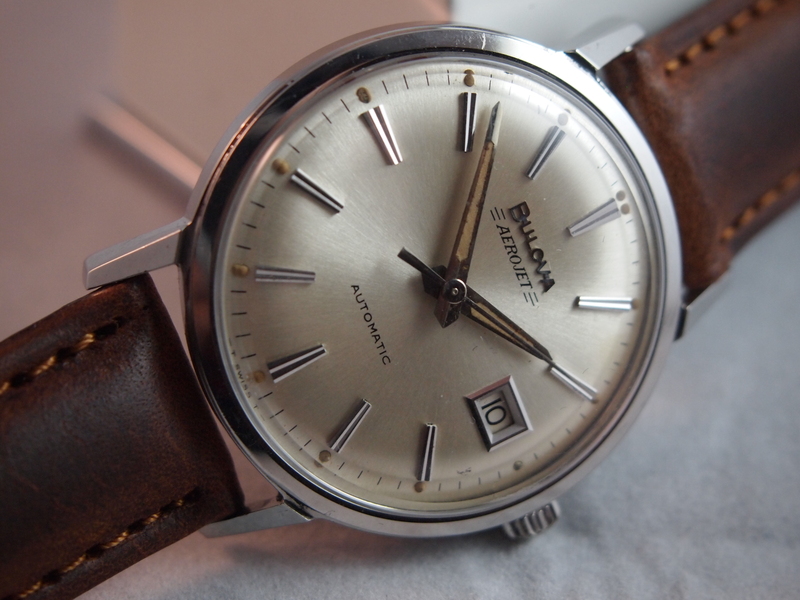 Typically watches have simple utilitarian hands. 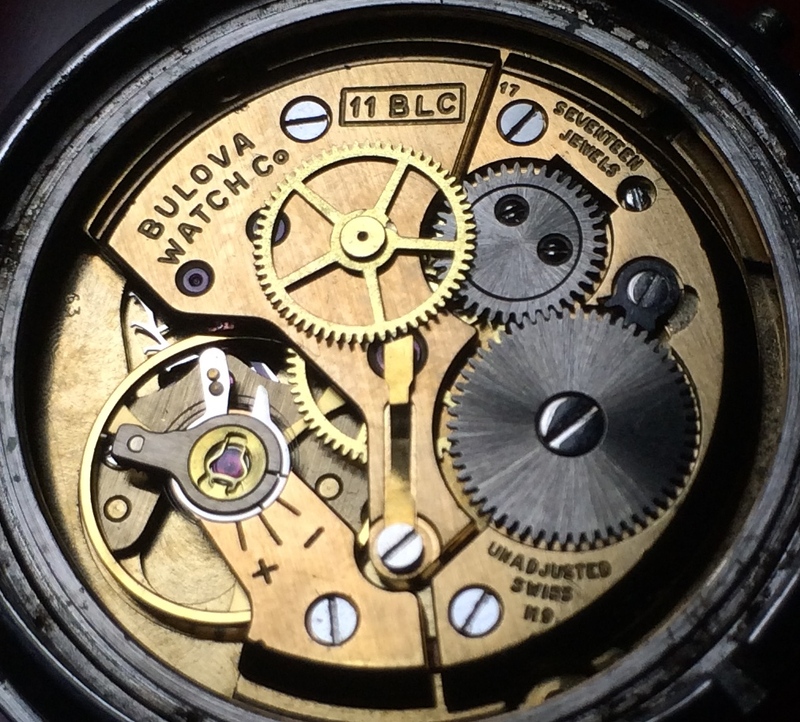 They either glowed or they didn’t and some had little stylistic elements (Breguet hands, etc.) 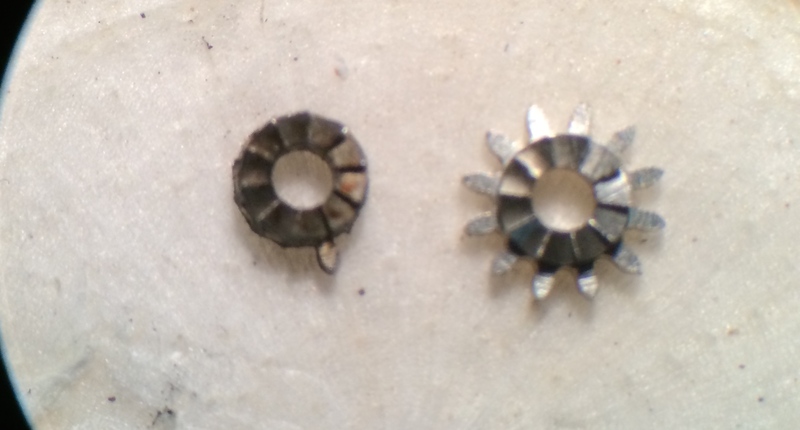 but they were mostly there to perform their function. 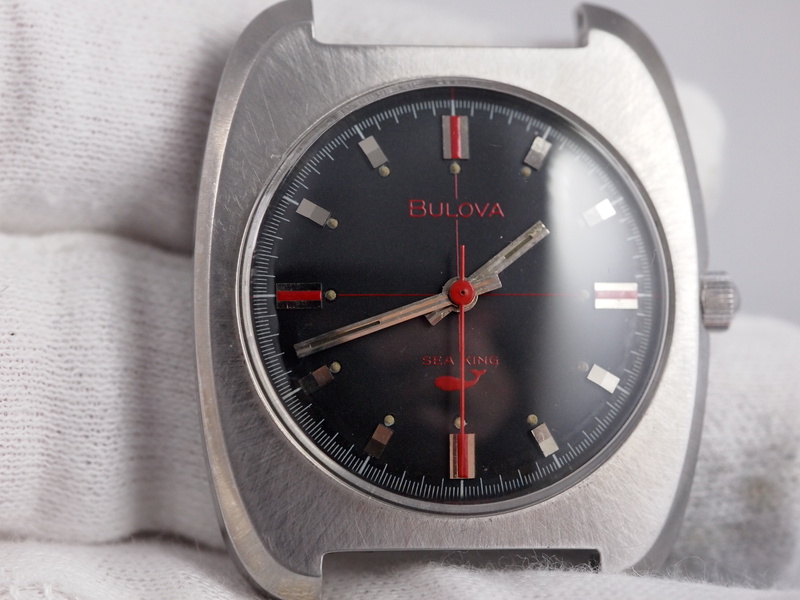 This Jet Star takes them a step further and adds a touch I have only ever seen on two watches: this one and the famous Bulova Chronograph C. You will notice that arrows have been drawn on the rectangular hands. 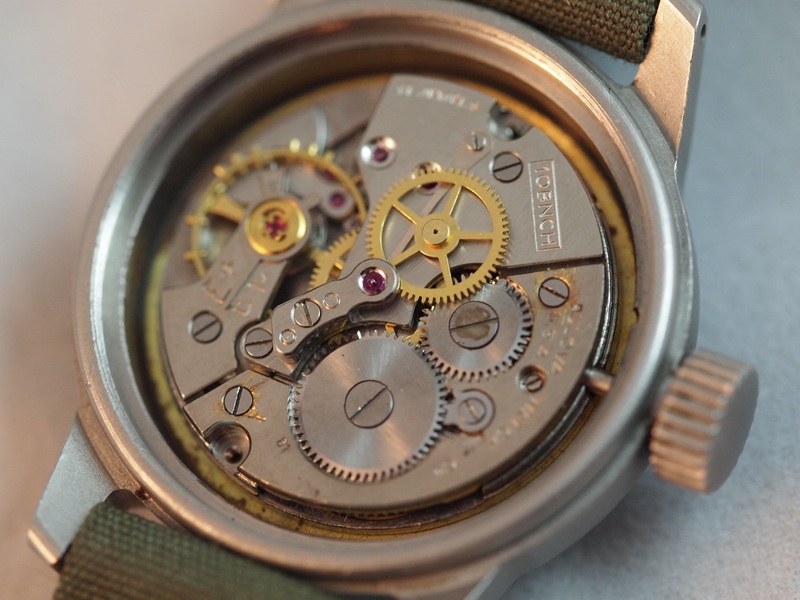 As simple as this is it adds an eye-catching feature to an otherwise typical watch of the time. 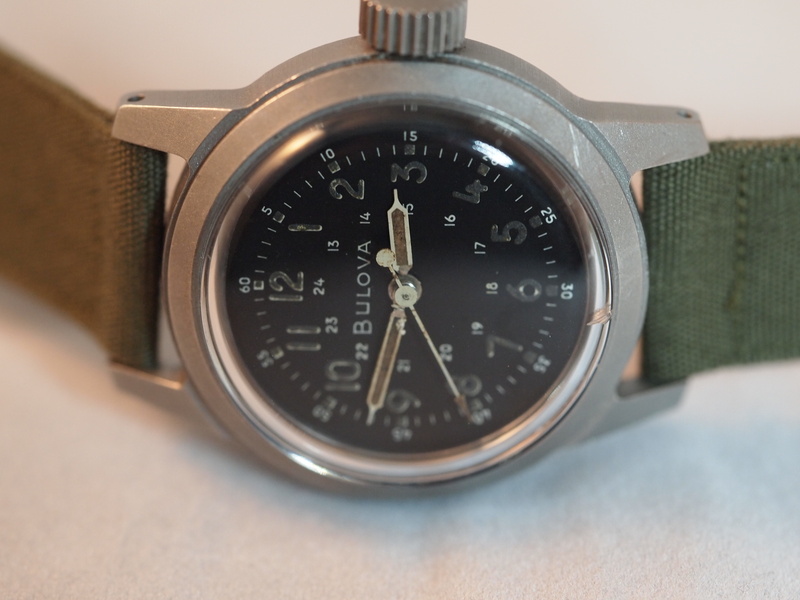 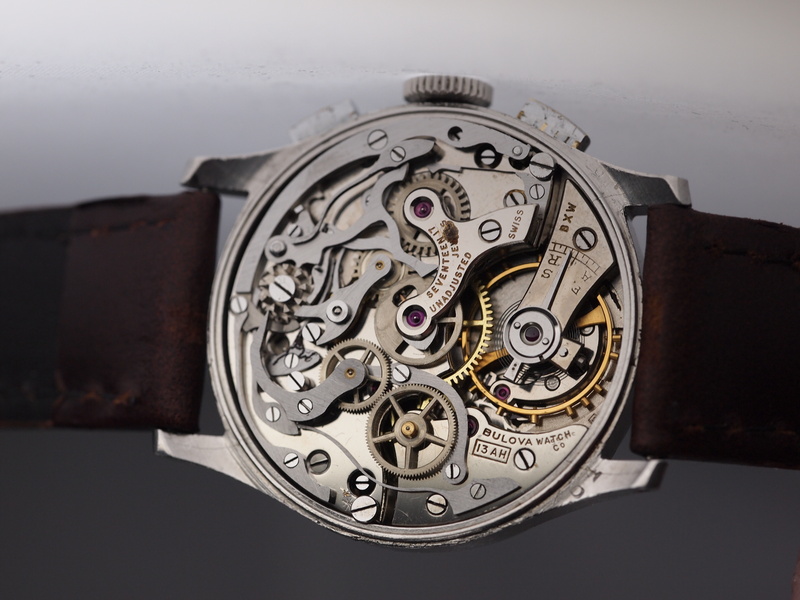 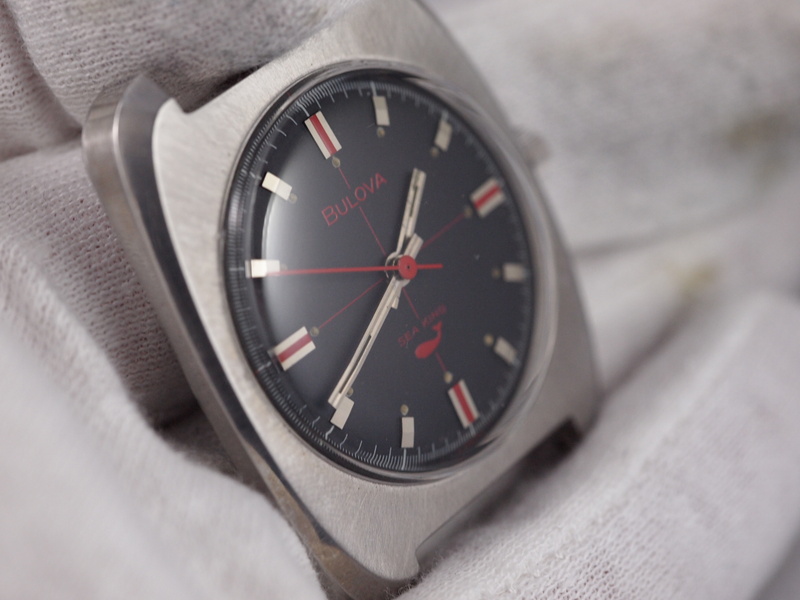 This piece has an automatic Bulova 11BSACB or an AS 2066 movement which like most Bulova and AS movements is well built and easily withstands the test of time. 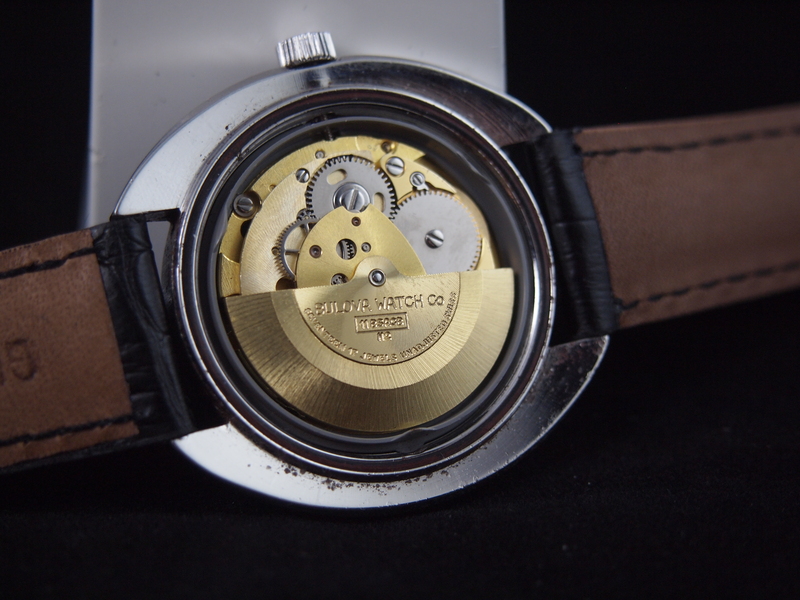 It has a quickset date and day function, which is a bit of a pain to reassemble, but on the wrist it’s a fantastically practical mechanism. 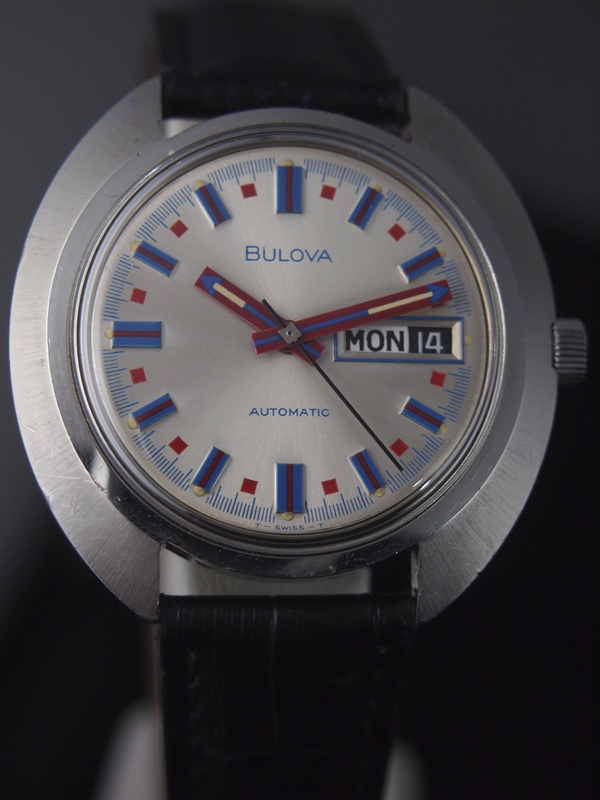 The color scheme of this watch is definitively patriotic, so whether or not you think America was great during the 70s, this watch has been and will be around to wear in a decade more appropriate for American Pride. 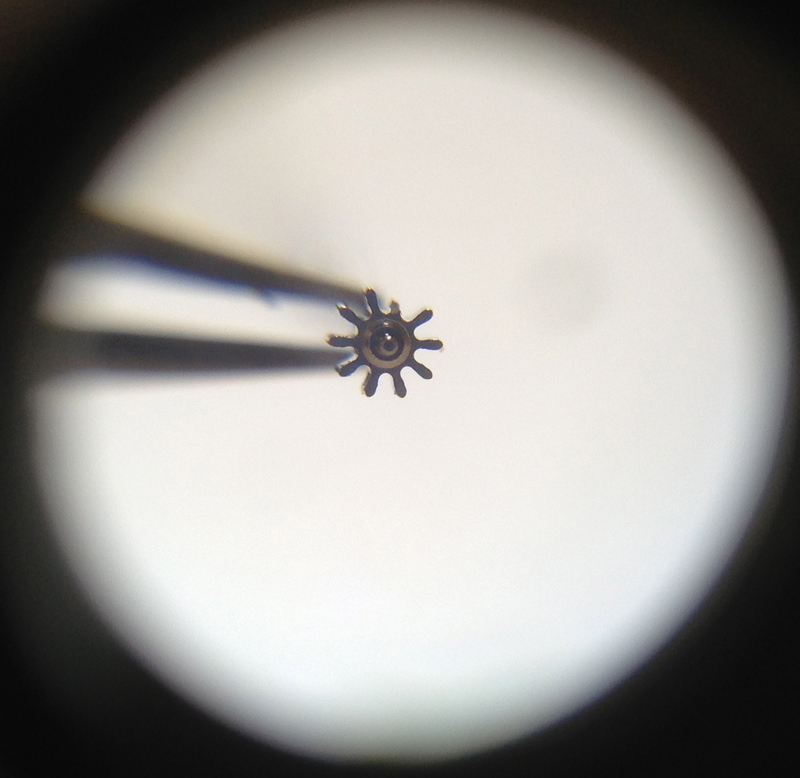 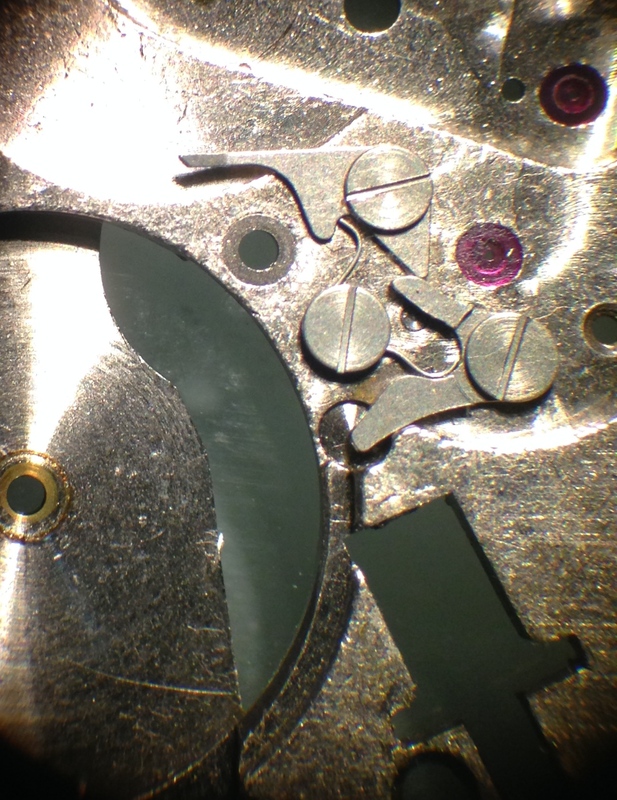 As incredibly cliché as it might be to say that it’s the little things that count when it comes to watch repair, there’s a reason that the cliché exists. 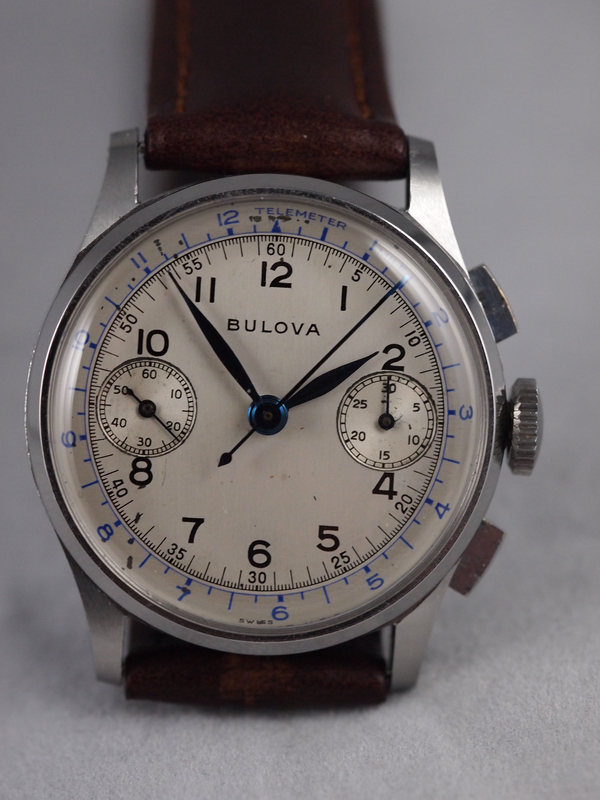 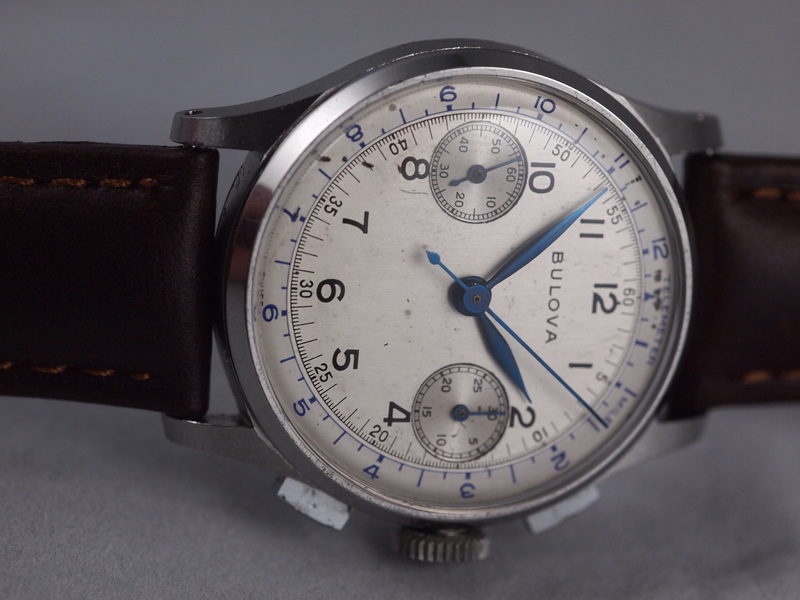 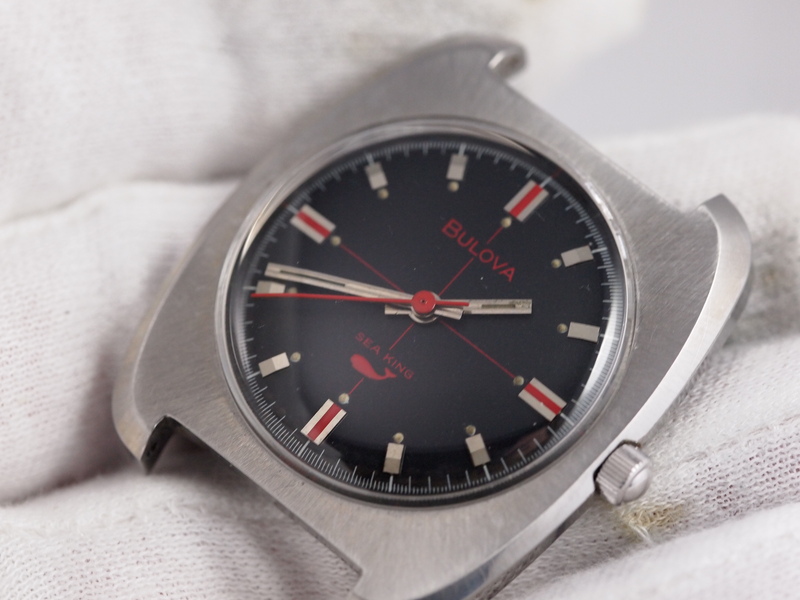 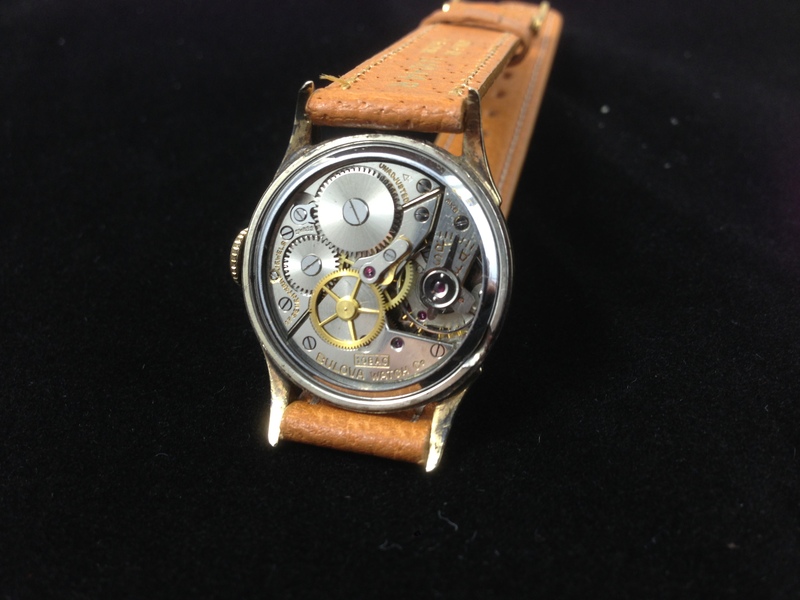 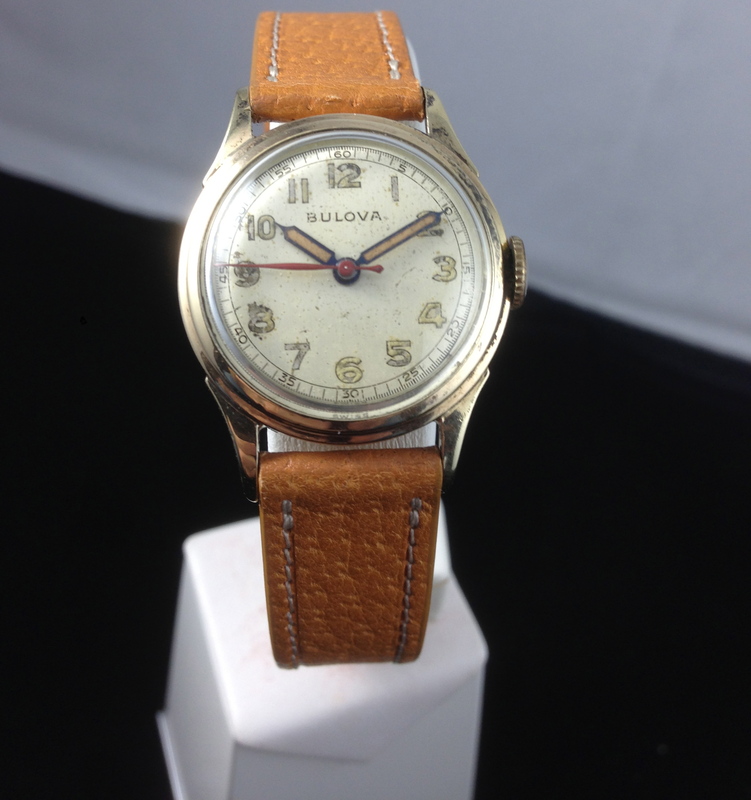 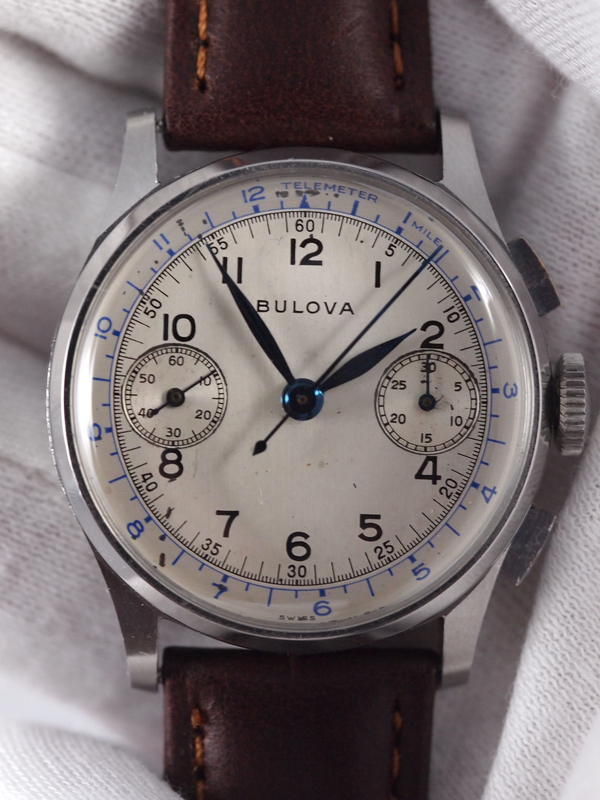 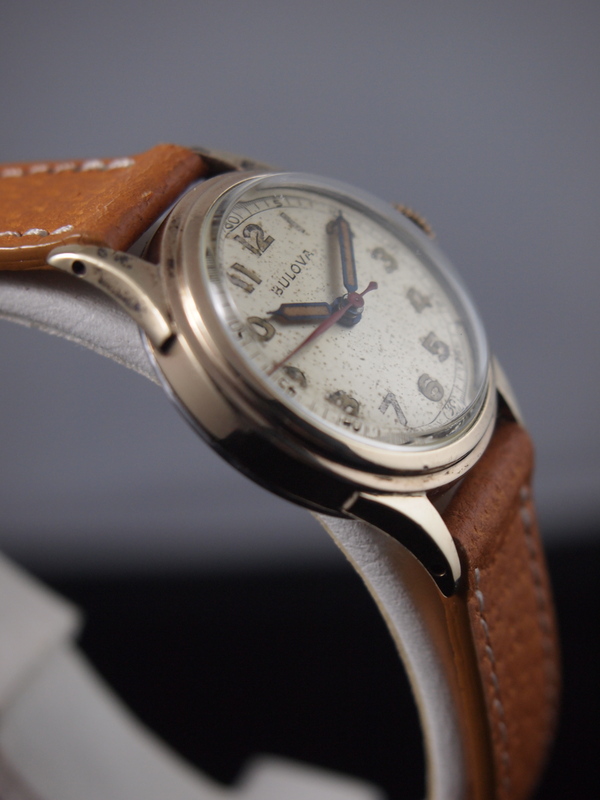 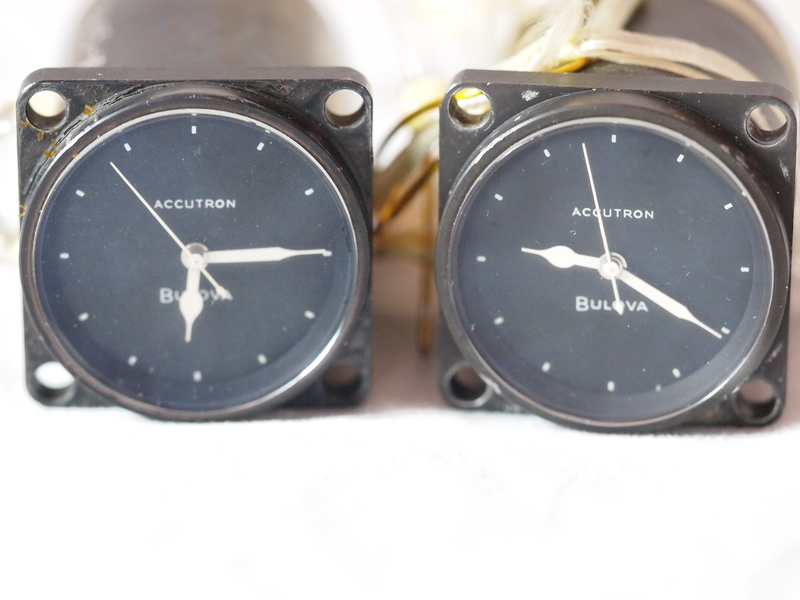 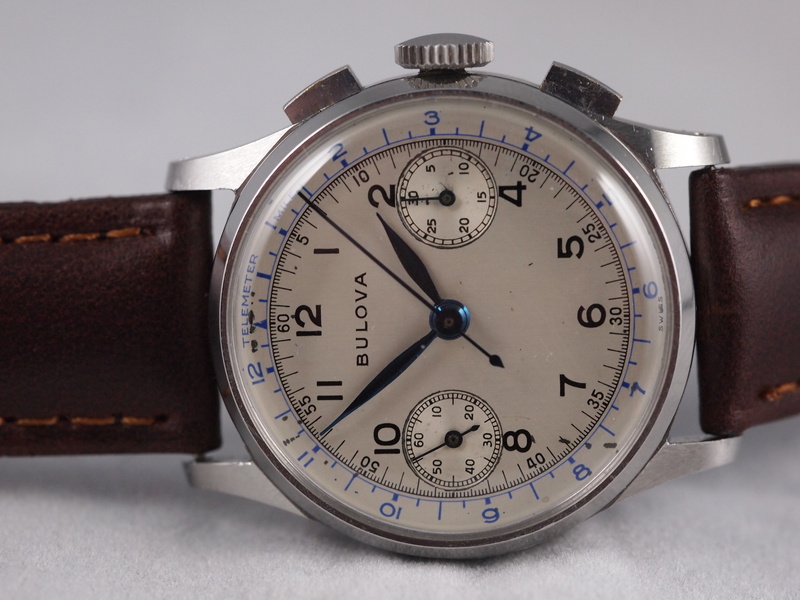 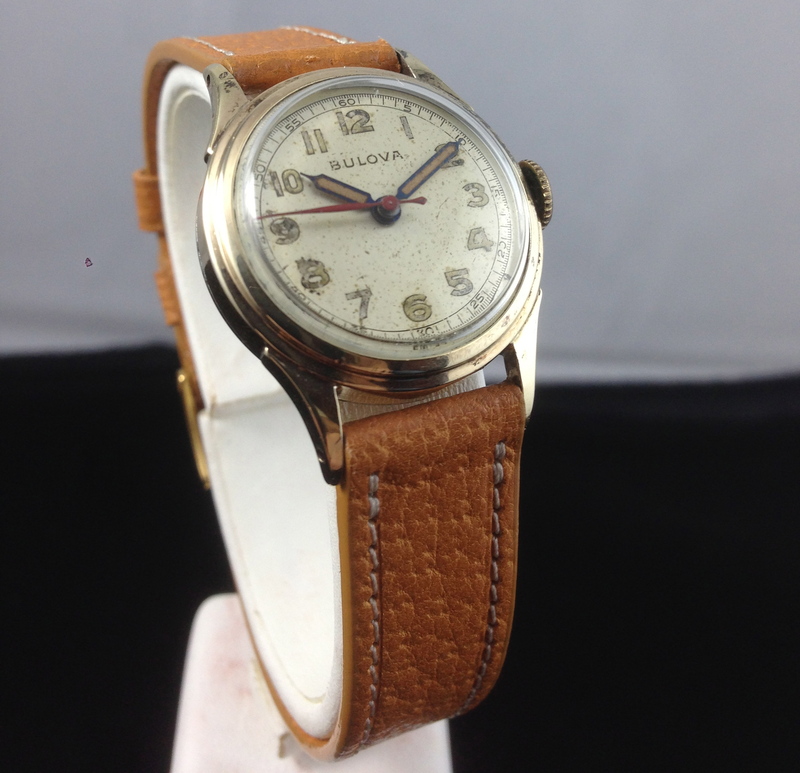 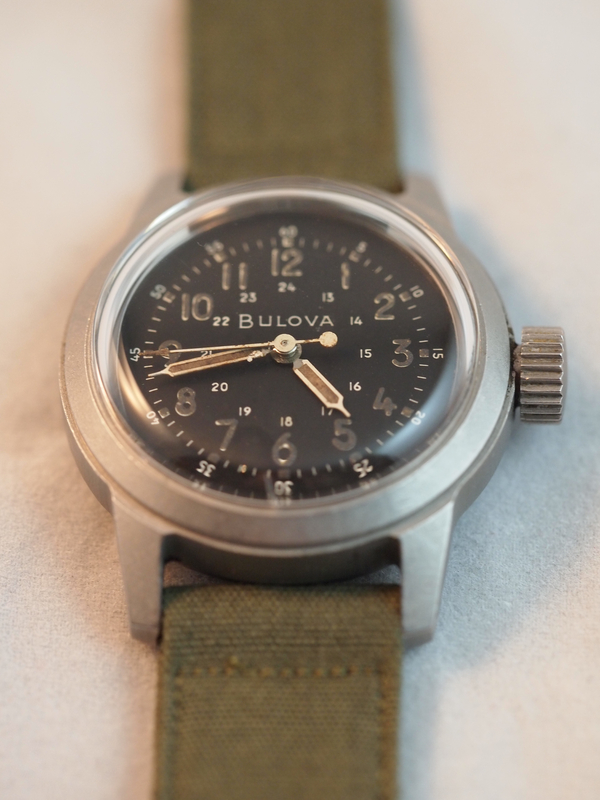 This yet-to-be-identified 1940s Bulova restore is evidence of it. 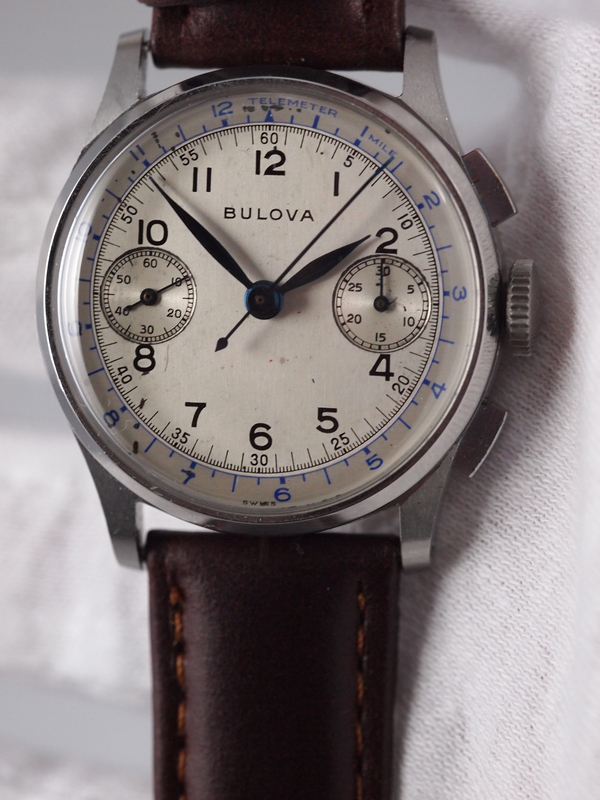 I bought this as part of a two-watch lot that was badly photographed. 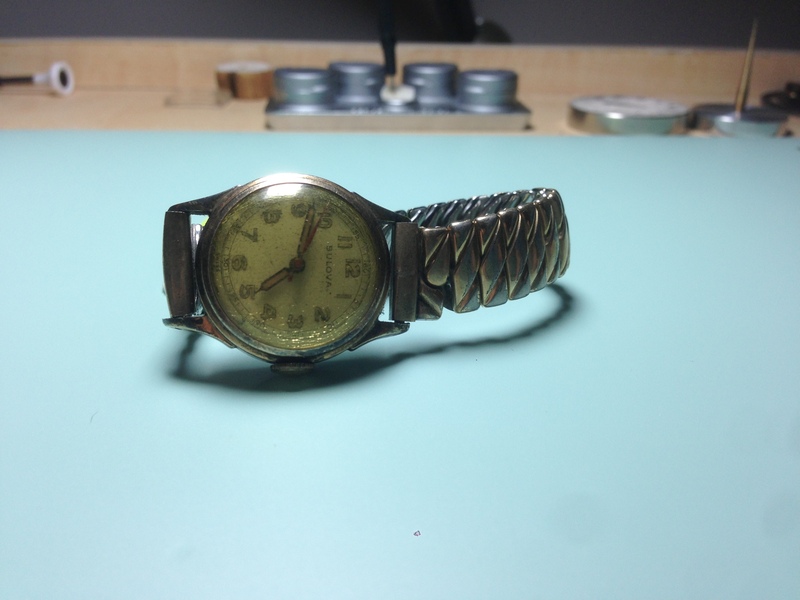 Combine a bad photograph with a watch in bad shape, and you have a definite opportunity for arbitrage or at least the potential for a great restore at a reasonable price point. 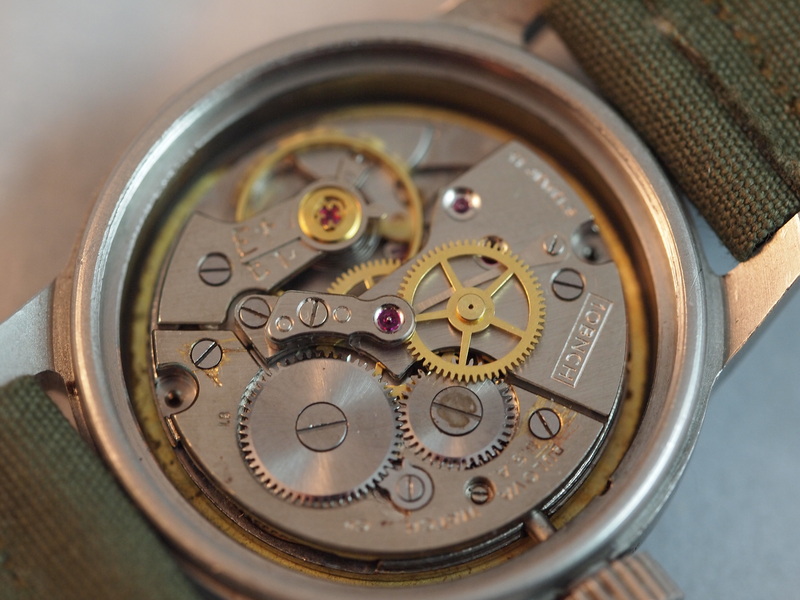 Sometimes watches arrive running and all they need is a good cleaning oiling and regulating. 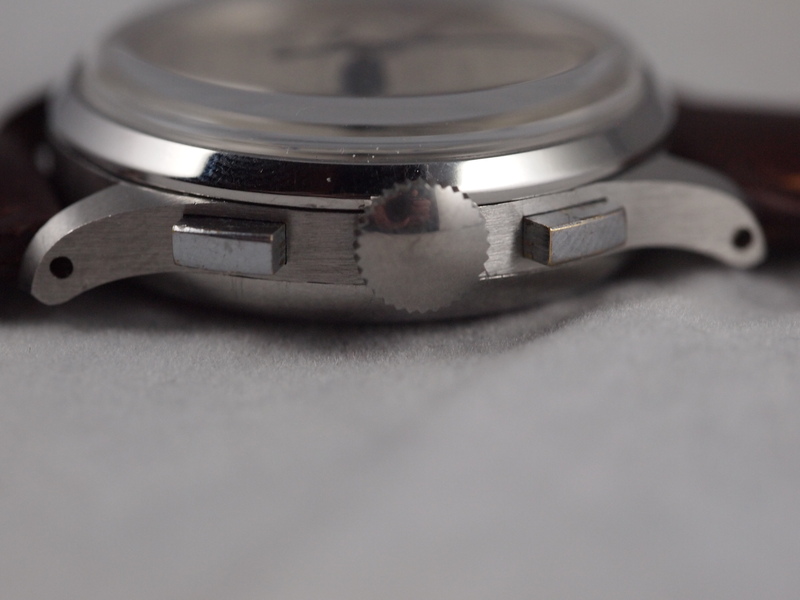 Other times (as was the case here) they arrive fully wound (for some reason non-working watches always arrive fully fully wound as if winding it all the way will somehow get it ticking.) 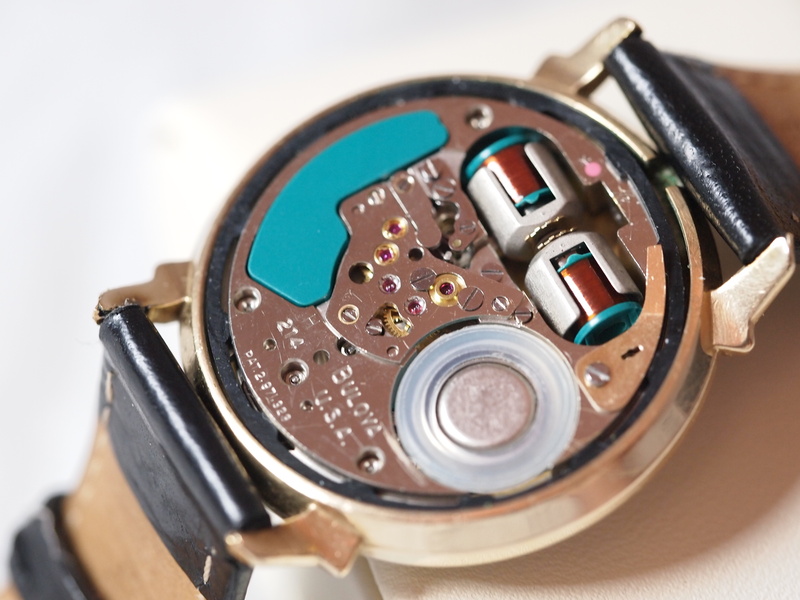 Watches like this are often referred to as “overwound” but that’s not a reason for not working it’s a symptom of something else. 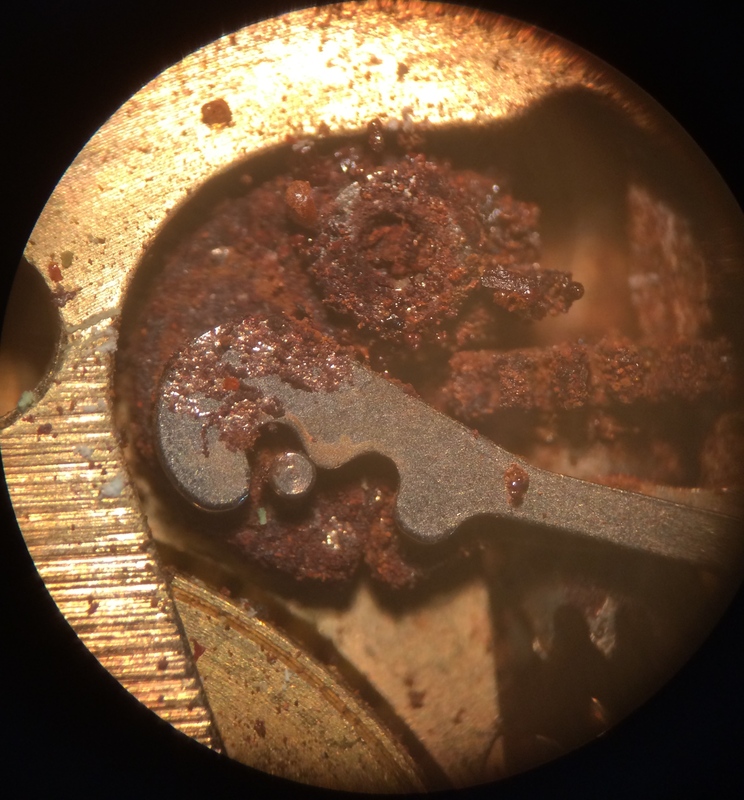 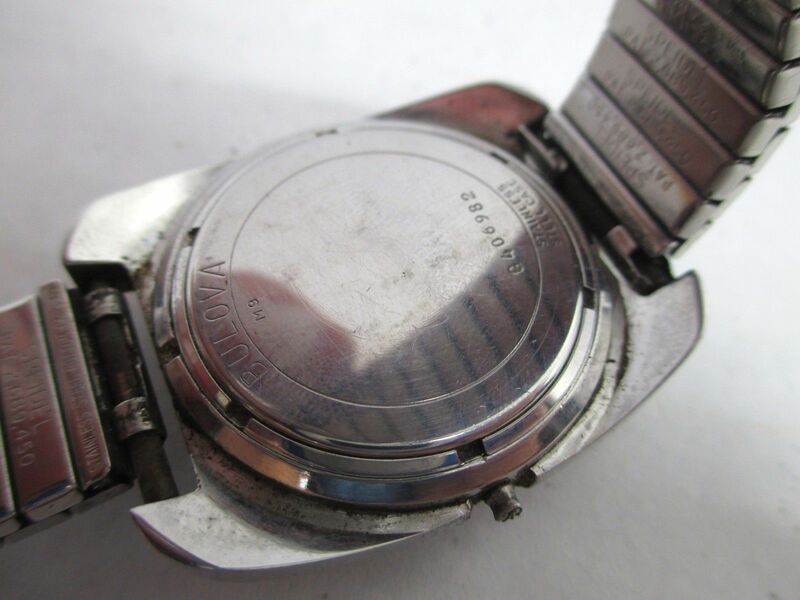 The term “overwound” is actually meaningless and “overused.” Moving on: when watches arrive in this state it becomes like a puzzle to spot the issue and get it remedied by cleaning or a new part. 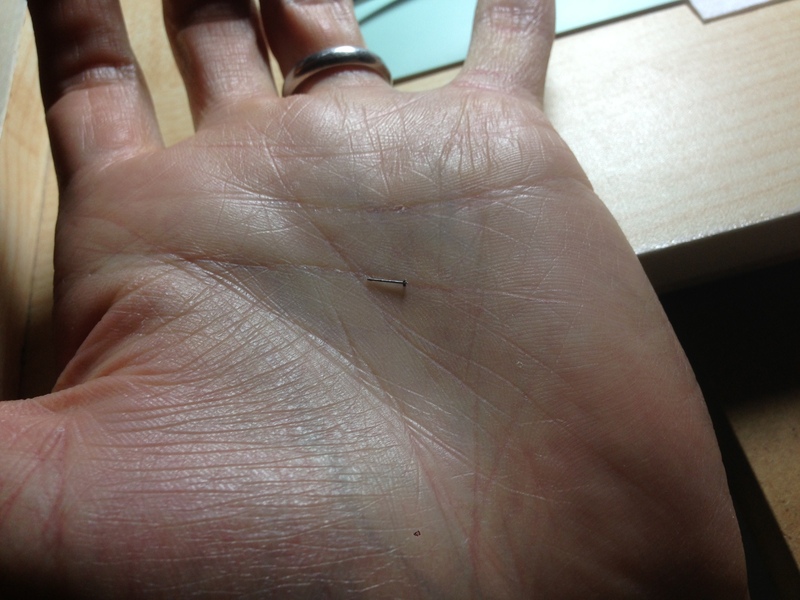 Most of the time the former does the trick. 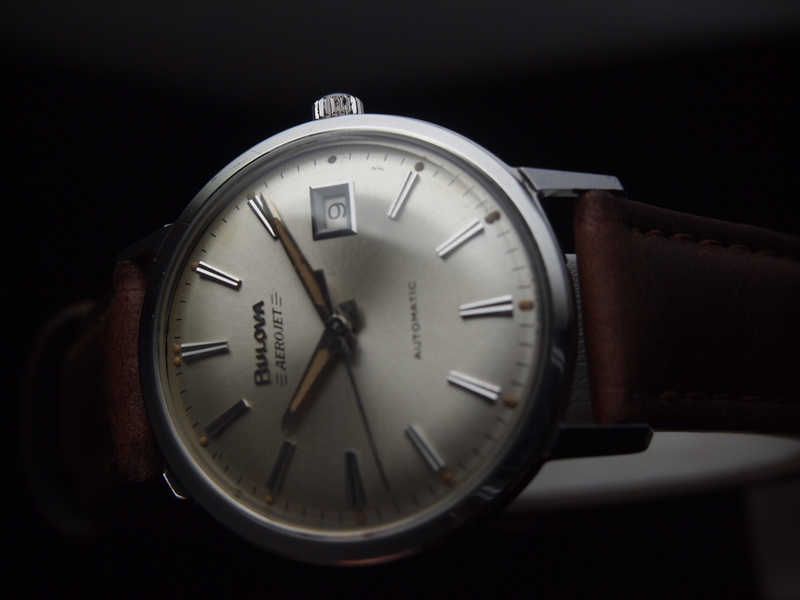 But this one required a bit more work. 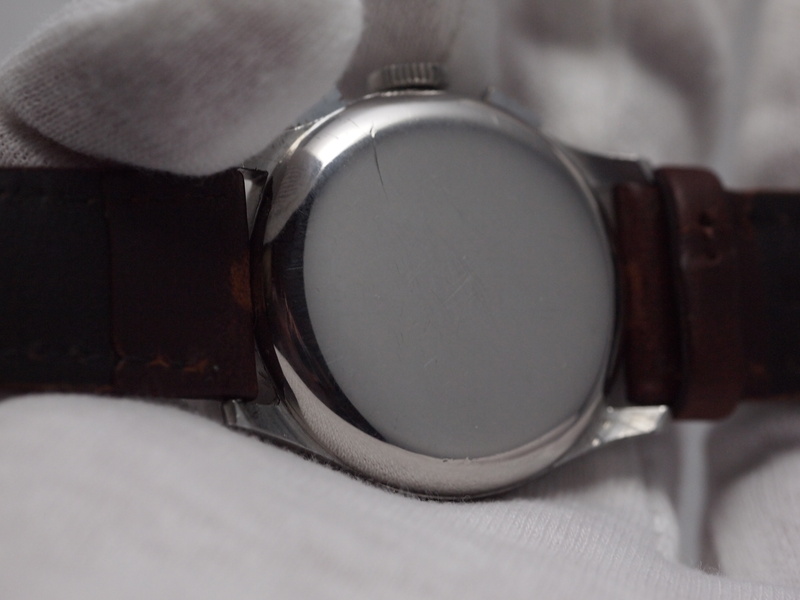 I took this watch off of its horrific stretchy band and set about getting it clean inside and out. 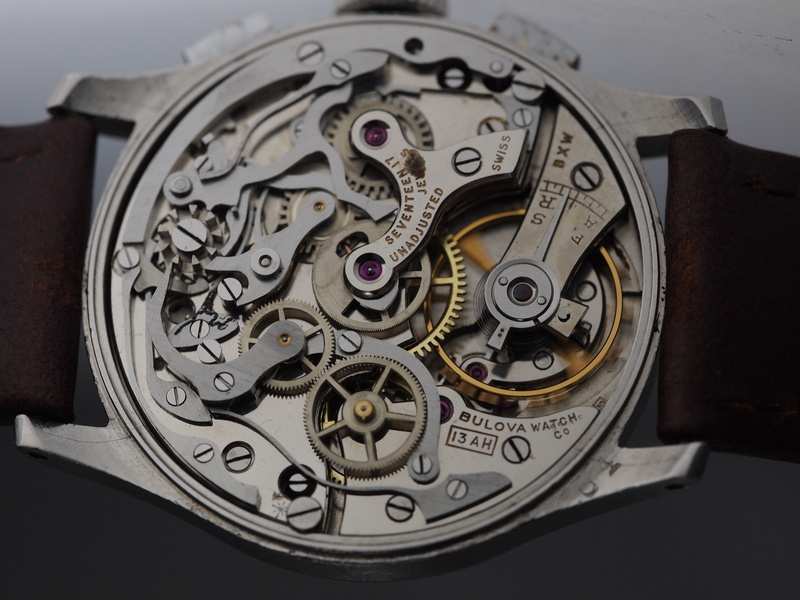 During disassembly one major problem was clear: the third wheel was broken as was the wheel that sits atop it to drive the second hand. 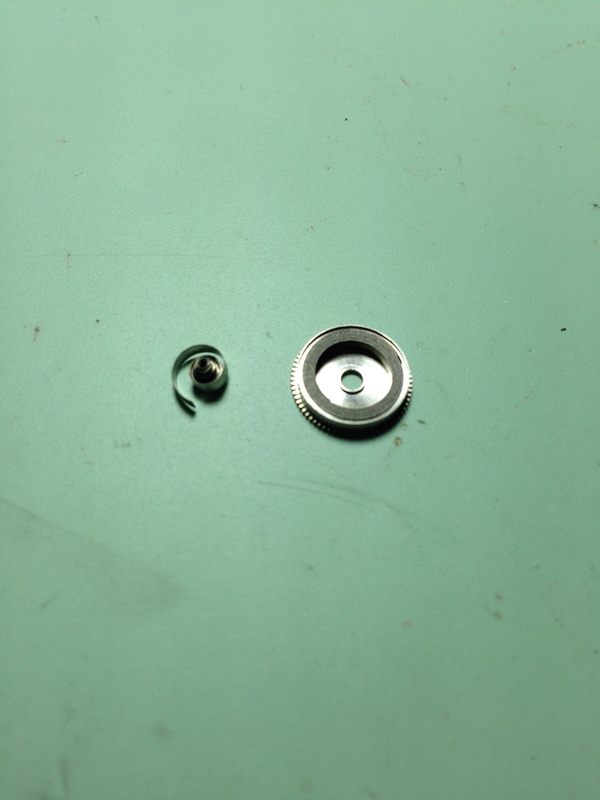 I resumed the disassembly and got to the cleaning. 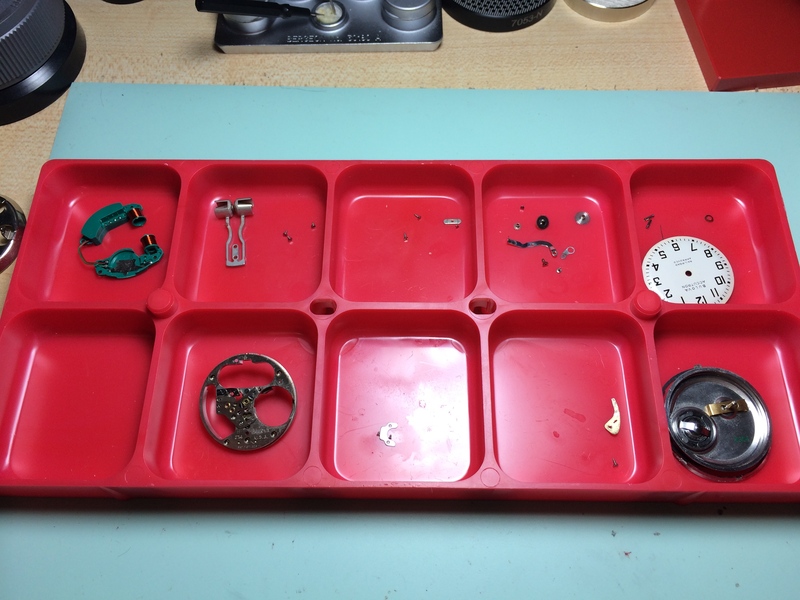 After cleaning, I set out all the pieces and examined them one by one. 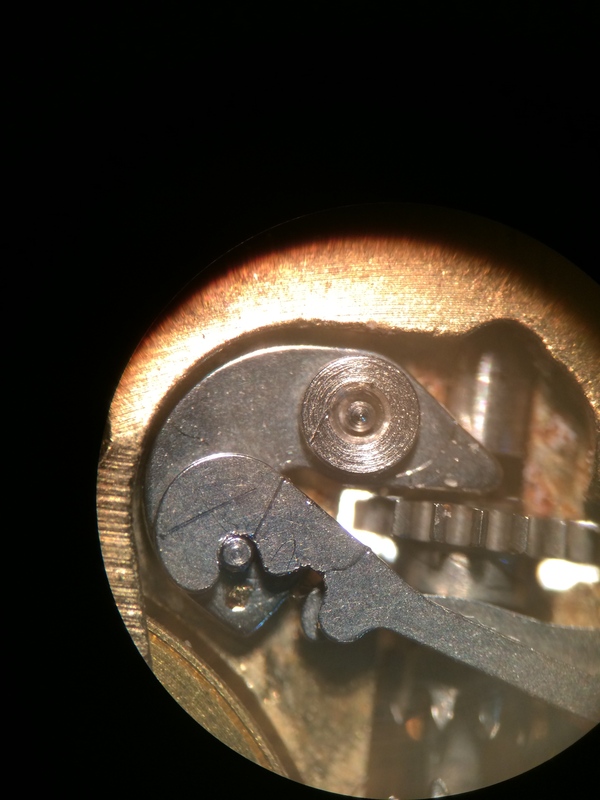 It was here that I found the second major issue pictured below. 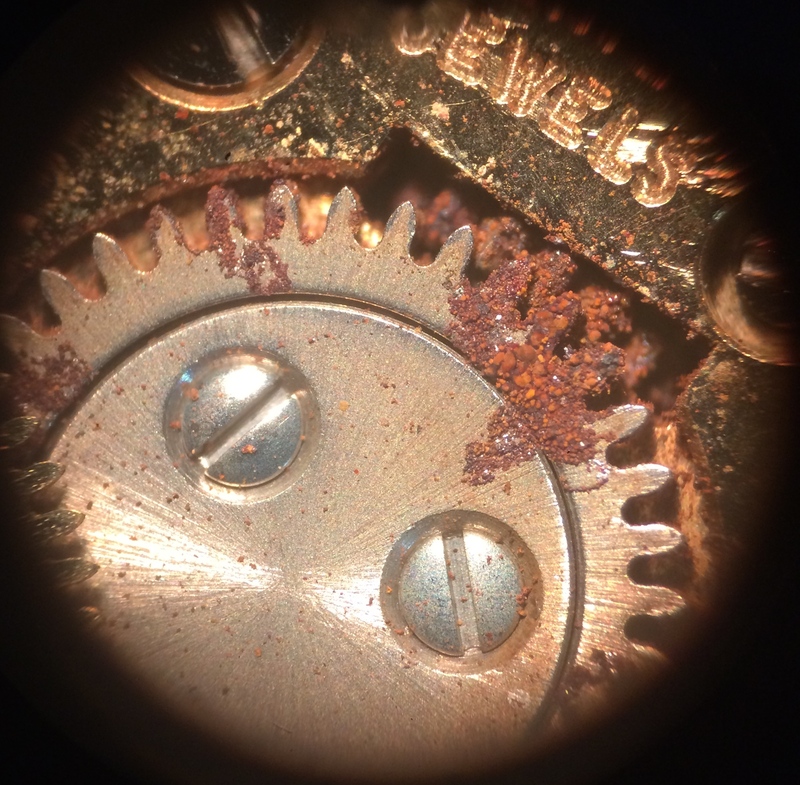 The gear driving the second hand had a broken tooth. 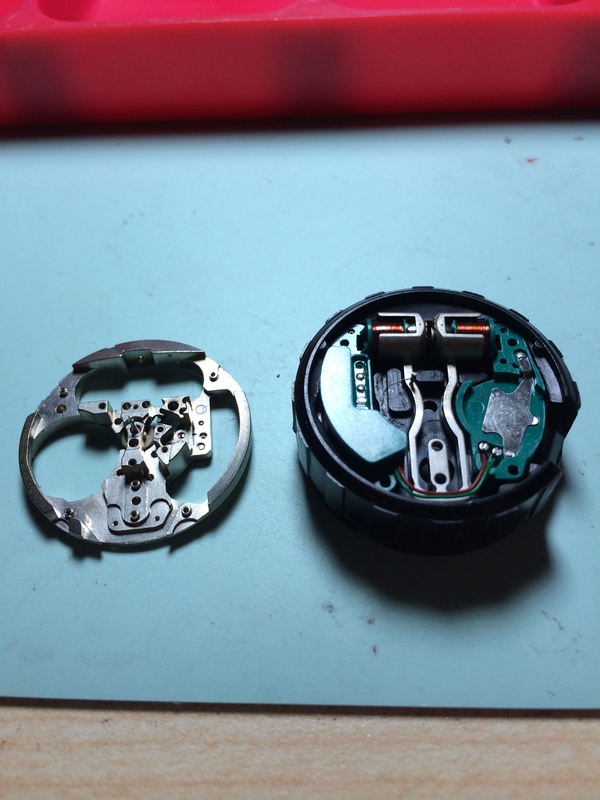 Once all the broken components were replaced this piece ran like new again. 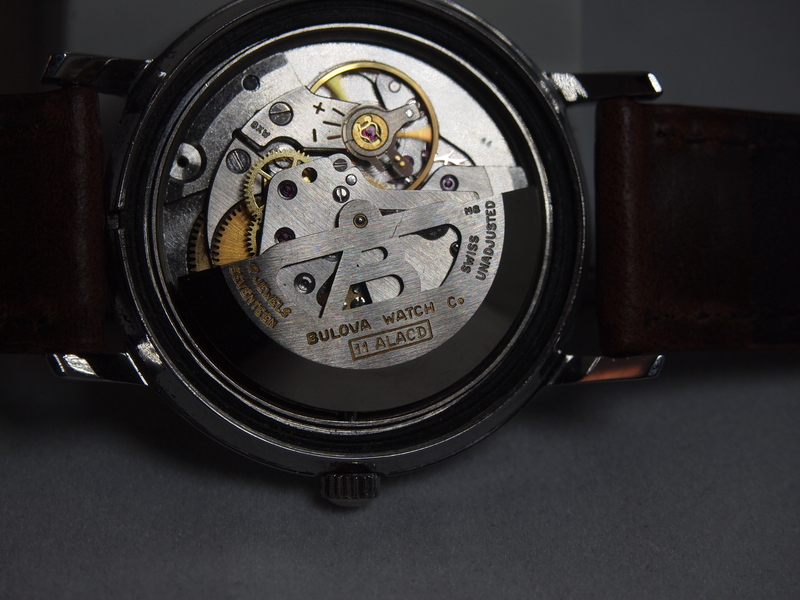 With a new crystal and band, and a good case polish it is now looking much better than when it came in. 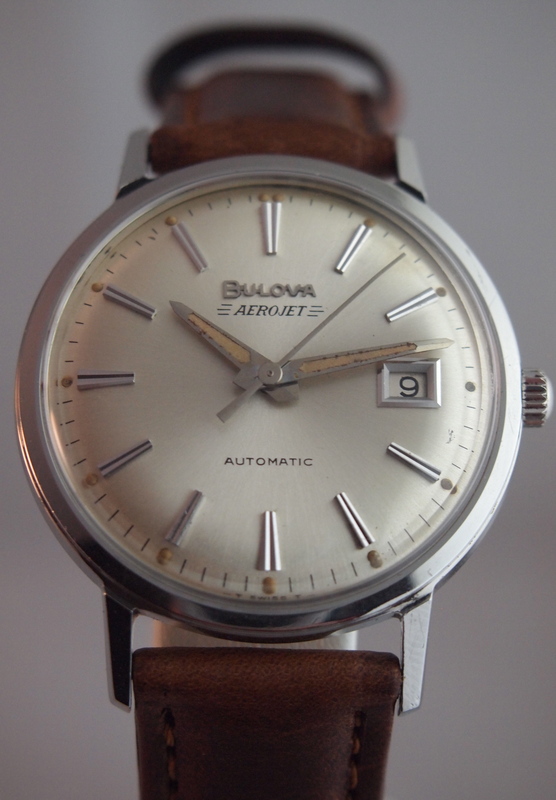 Although its identity remains unknown, it appears to be a variant on the Air Warden (see an earlier restore.) 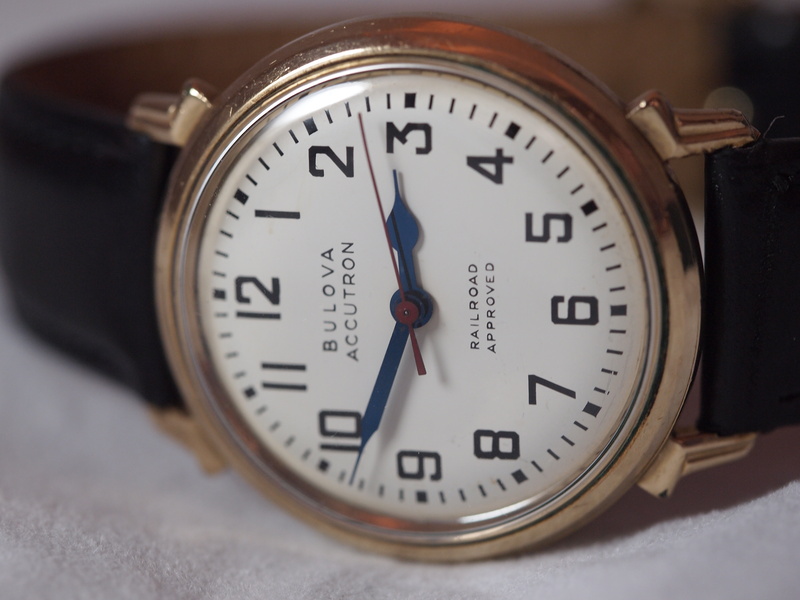 The dimensions are identical, and the general aesthetic is similar, but the movements (10 BE vs. 10BAC) and the difference of sub-dial (second hand at 6 o’clock) and sweep second (big second hand) might rule this out. 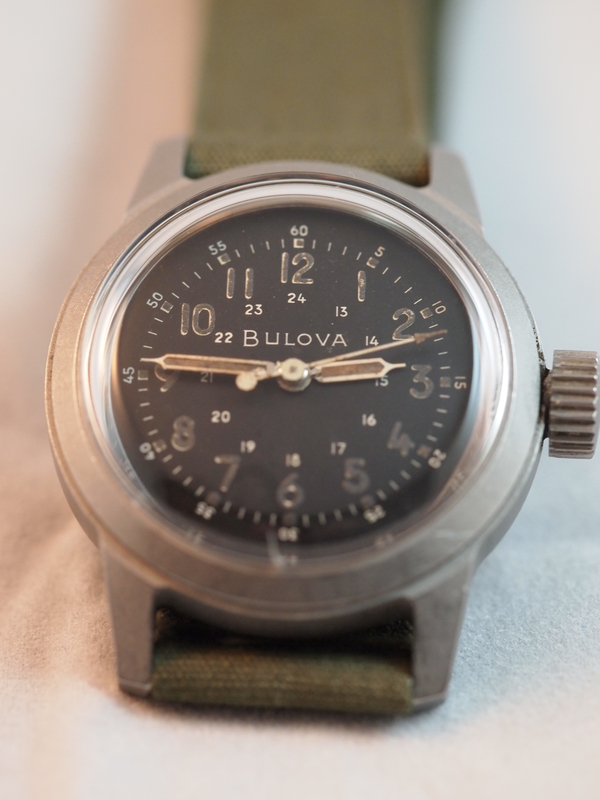 Either way it’s a great piece from the 1940’s that has that vintage WWII militaria feel to it.